The Daily Glamourista is a blog that focuses on fashion, beauty, style and lifestyle, bringing its readers the latest insights into the industry, as well as product reviews and useful tips. The editor of the blog is Carolyn Anger, who uses her vast experience in the industry to keep the blog fresh and current. 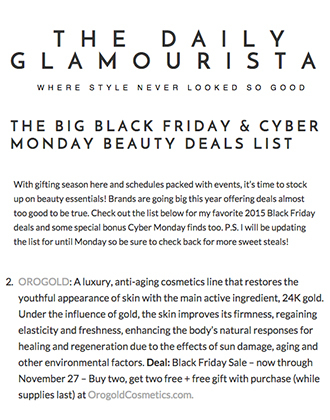 The latest review on The Daily Glamourista features some of our very own OROGOLD products. 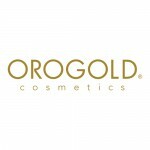 In a post titled ‘Luxe Beauty Fall Favorites: OROGOLD Cosmetics‘, the editor discusses the importance of keeping your skin protected during these colder months. The editor first states that she is a huge fan of OROGOLD Cosmetics, because not only are they packed with skin-loving ingredients, but they also make your everyday skin care routine feel more like a spa treatment. 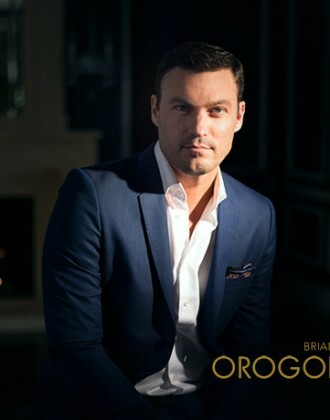 The post features a list of the editor’s favorite OROGOLD products, along with fantastic product photos and a price point for each. The first product to be featured on the list is the OROGOLD 24K Collagen Renewal Night Repair, which the editor states is her “absolute favorite product from the entire collection”, and is her “go-to for bedtime beauty”. Discussing how the cream helps to restore lost collagen, as well as issues caused by sun damage, the editor emphasizes that “after just a few uses, the cream plumps up your skin for decreased wrinkles – all while you sleep”. Next, the editor features OROGOLD’s 24K Bio-Brightening Complex Peeling, explaining that the word ‘peel’ is nothing to be afraid of, as there is absolutely no pain involved. The editor explains how to use the product, advising her readers that it is a great product to use “in a pinch before an event for some extra glowing power”. The OROGOLD 24K Bionic Complex Serum is next on the list, with the editor beginning by talking about how hard it can be to find a serum that actually works. Explaining that the serum reduces wrinkles while giving skin a gorgeous glow, the editor states that while this product is a “major plus” on the days that you have gotten enough sleep, it is also great for covering up on the days that you are more tired. 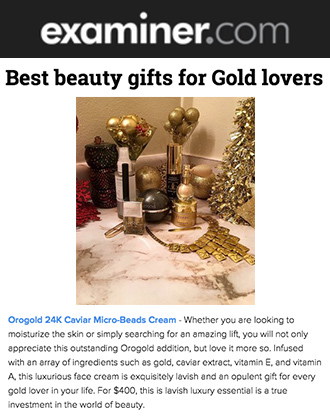 The final product to be featured is OROGOLD’s 24K Sensitive Skin Hydrating Moisturizer, which the editor describes as being “another gem from the line”. Briefly discussing its delicate ingredients, which makes it perfect for sensitive skin, the editor loves how this product is “super silky” and absorbs quickly into the skin. 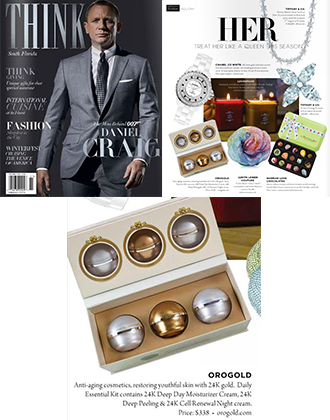 OROGOLD would like to thank The Daily Glamourista for this great feature. If you are interested in finding out more about these fantastic products, feel free to pop into your nearest OROGOLD store for more information and product demonstrations.